Great Scott! 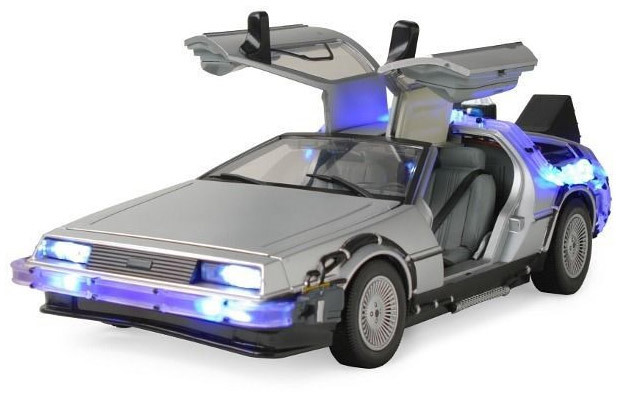 This DeLorean is a 1/15th scale replica of the one that Marty McFly and Doc Brown used in the Back to the Future movies. This replica is going to look amazing in your collection and includes fully-detailed moving parts, lights, and sound effects. This is no Hot Wheels car. It measures 14 inches long. Some of the sound effects include: First time travel, Car trouble, Revving up and winding down, Opening door, Rev up and peel out, Engine start-up, Return from time travel, Screeching halt, Time circuit engaged and No power. This thing should be on your list of Christmas gifts to buy for yourself this year.